I’ve yet to find a device or software that I like as much as XBMC for streaming videos from a local network on a TV. My Roku tends to get used mostly for Netflix, Hulu, Amazon and Pandora. There still not a good local network streaming app on the Roku that doesn’t rely on transcoding. I like the pure experience of viewing a video file, no matter the type (avi,mpg,mp4,mkv,etc.) XBMC does this and gives my videos a good looking interface. For this reason I use a small PC (Intel NUC with Core i3, model DC3217IYE) for streaming videos from my local network. I recently upgraded my HTPC to Windows 8 which like a lot. The problem is the Windows Start Screen gets in the way and doesn’t easily let a desktop app run full screen at start up. I poked around the web and found a few methods for getting it running but didn’t really like any of them too well. Putting a shortcut in the start up folder doesn’t necessarily work. There’s a group policy you can change that sets XBMC to be the default interface but then you can’t easily get back to the desktop when you want to. Then I found XBMC launcher and it took care of my whole setup with minimum configuration. The application is perfect and super easy to use. It even adds some power icons to the desktop and or start screen. Because of the nature of the internet and how things tend to disappear sometimes I have a copy of the current install (version 4.0) on my site here. 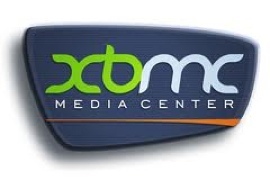 You should try to get it from the XBMC site itself though to make sure you have the most recent version.